As Halloween is near it is a great time to think to remind ourselves of the pitfalls of Halloween. Besides the costume malfunctions, not being invited to the cool kids party and the fear of not filling the “trick or treat” bag, here are some real tips to help make this a smoother healthier Halloween. 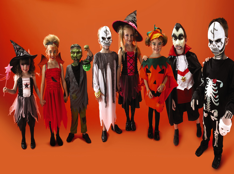 Get the kids involved in creating their costume. Share pictures from Pinterest and look around the house to see what your little or teen goblin can create. Great costumes can be created from things around the house, without going to great expense. Save that money for their future! Consider how stressful Halloween can be for your pets. While a small number of pets love all the excitement, most become adjitated by it. There are some really cute costumes for pets on the market but think about how stressed out your cat or dog will be if they actually have to wear a costume all day and night. It might be better for them, and you, to fill their water bowl and put their favorite bed in a quiet room, with the radio playing music so they don’t hear the doorbell. Also, remember candy isn’t good for your pet. If you like to decorate the walkway and front porch, be sure that the decorations are securely fastened so that no one falls and gets hurt while trying to get to your front door. Mark steps with a piece of reflective tape and use Dollar Store flameless candles in your pumpkins and anywhere that you need a little extra light. Before your ghost and goblins go out to trick or treat feed them a healthy meal that is high in protein. Limit soft drinks and juices as well at Halloween, as well as during other times of year. Little, and even big, ghosts and goblins tend to crave fewer sweets when they are full. Limit the number of pieces of candy they can eat when they get home to three or so. After you inventory their candy haul, let them pick out their three favorites. Remind them that they cannot eat any candy until they get home. It’s a tough rule to follow, especially when your kids are trick or treating in your neighborhood where you know everyone. Once the selection has been made, put the bag or bags of candy away for safe keeping. As a child, I remember sleeping with my candy and before the night was over I was sick to my stomach. Over the next couple of days let them select a couple of pieces a day and talk to your child(ren) about what a good thing it would be to donate their left over candy.There are many drop-ff sites in the area where you can drop off your extra candy. Reward your child(ren) for their generosity with a movie or a pizza. I would be remiss if I didn’t remind you to have your kids brush their teeth after eating candy. The sugars in candy can quickly begin to erode tooth enamel leading to cavities. After a they have eaten their allotted candy wait about 10 minutes and then have them give their teeth a good brushing with a high-quality toothpaste. This will ensure they can continue eating candy and other wonderful foods for years to come. Have a Happy and Safe Halloween.